At issue: Preparing our school buildings for growthOur view: We urge voters to cast their ballot in favor of school district questions 3C and 3D in support of schools that are among the best in the state.Editorial Board • Suzanne Schlicht, COO and publisher • Lisa Schlichtman, editor • Tom Ross, reporterContact the editorial board at 970-871-4221 or editor@SteamboatToday.com. The success the Steamboat Springs School District has had in attracting and retaining top-notch teachers and staff is the primary reason our schools are ranked among the top 10 in Colorado. They are the human assets that help to rank our schools among our very top community assets. 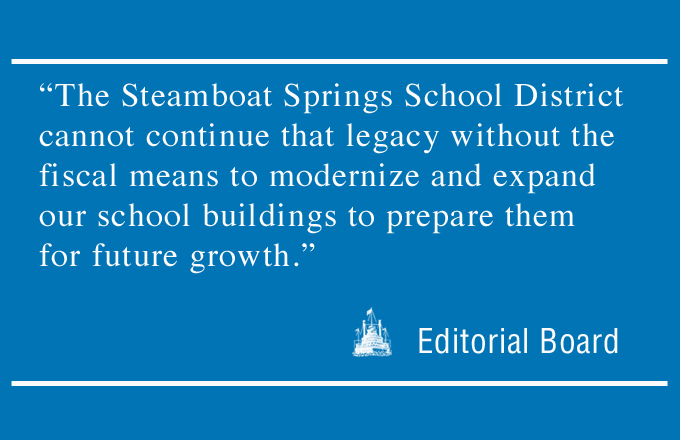 However, the Steamboat Springs School District cannot continue that legacy without the fiscal means to modernize and expand our school buildings to prepare them for future growth. Some of our existing schools’ important educational assets are overdue for repairs. And in the next several years, school district officials and members of citizens groups tell us, we will likely need to add classrooms to the high school, expand the common spaces at Strawberry Park Elementary School, and possibly build a new elementary school. But first we must deal with some urgent maintenance projects that were deferred during the recession. That’s why we urge school district voters to vote in favor of both school district ballot questions 3C and 3D. 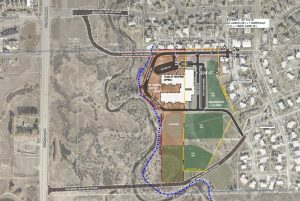 Approval of both measures would raise school district property taxes by an estimated $39 per year on a residential property assessed at $500,000. The estimated annual tax increase on a commercial property with the same valuation is $434. 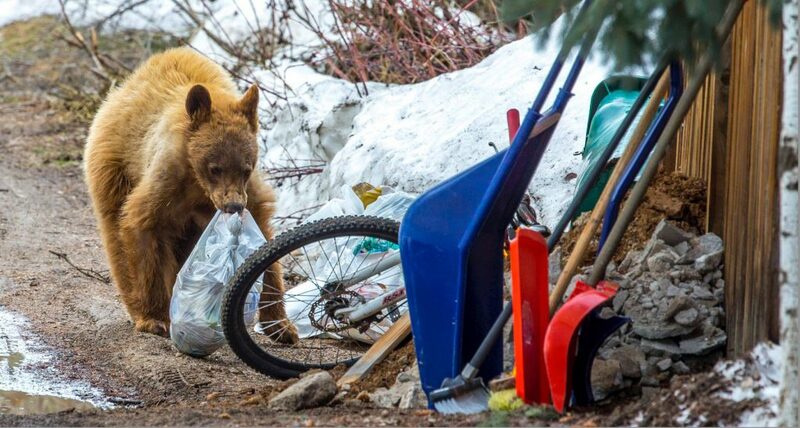 Referendum 3C is estimated to raise $1 million annually that would go into a capital fund devoted solely to the upkeep of the district’s assets. Passage of 3D would allow the district to take on $12.9 million in bonded indebtedness. 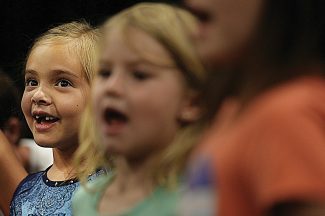 The funds would be used to carry out three projects the district deems most pressing. 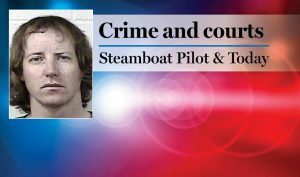 Bond proceeds would also be used to replace failing roofs on five buildings — three schools — and also change out the dysfunctional heating and ventilation systems at the middle school. The bond would be paid off in seven years. We’re confident that any homeowner in the district who discovered their roof was leaking, or the condition of their driveway posed a safety issue, would do everything possible to fix it, even if that meant taking out a home equity loan. We think that same logic applies to the school district on a much larger scale. Steamboat Today reported this month that the certified Oct. 1 enrollment in the district was 2,623 students — a number that already eclipses the predicted 2021 enrollment of 2,618 made one year ago by an expert planner for Denver Public Schools. 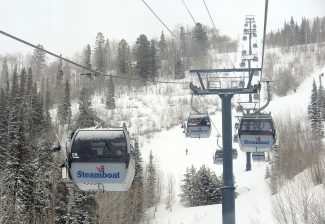 Now, in better fiscal times, with school enrollment increasing at a surprising rate, it is time to allow the Steamboat Springs School District to raise the funds needed to take care of some of its most critical facilities. As School Board President Joey Andrew said earlier this month, those assets belong to all of the taxpayers in the district.